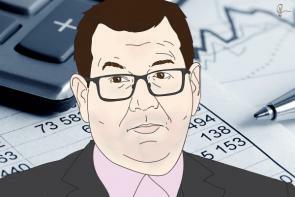 Finance Minister Grant Robertson is remaining tight lipped on the government’s thoughts on a capital gains tax (CGT) despite the flood of questions he’s facing since the release of the Tax Working Group’s final report last week. And Robertson admits finding consensus in a coalition government will have an impact on the government’s response to the findings. New Zealand First leader Winston Peters has previously stated his opposition to introducing a CGT. Since early February when the government announced the release date Robertson has maintained the government won’t be making an announcement on its plans until April. Speaking to a business breakfast audience at Eden Park on Tuesday he says the government has a lot of work to do. Robertson says the Tax Working Group’s brief was to come up with a series of recommendations based on making the tax system fairer and more balanced. “What they then did was they then went away and said 'here’s the gaps that we’ve identified and here’s a proposal to deal with that',” he says. “We’re not bound to take up all of their recommendations. They say that themselves. What they came back and told us was that by and large the New Zealand tax system works well and we shouldn’t forget that." Robertson says unlike people discussing more immediate forms of taxation like GST and PAYE, talking about a CGT is different. Robertson says it's clear to see from the working group’s findings that it was looking at income no matter where it comes from. He says New Zealand is one of only two countries in the OECD that doesn’t have a capital gains tax. Robertson says the government is aware of the concerns of small business owners about the impact a CGT could have on them and it will look at them as part of its work. The Tax Working Group (TWG) recommends the Government extend the taxation of capital gains and reduce income tax. The 11-member group, chaired by former Labour Finance Minister Michael Cullen, outlined a number of ways this could be done. The TWG suggested taxing gains and losses from all types of land and improvements, shares, intangible property and business assets. But it said the “family home” and personal assets like cars, boats and other household durables should be excluded. Recognising that broadly taxing more income from capital gains would raise about $8.3 billion of tax revenue over five years, it has put four packages on the table suggesting ways to offset this. These packages are broadly revenue-neutral and include income tax cuts but focus on different themes. The introduction of a CGT is expected to hit residential property investors the hardest, followed by those with share investments. So small business owners are concerned that they may have to now pay tax on a profit? Sorry but all profit should be taxed, if that makes your business un-economic then the business should not exist, take your capital elsewhere, where the return is. @steven , you must be waged . Small businesses do pay tax on profits. No, they are all dirty Kulaks that exploit the proletariat, and anyway fair tax means whatever I want it to mean. Small businesses do pay tax on some of their profits. Why not pay tax on all of their profit like I do as an employee? Do you make profit as an employee? These words actually mean specific things, you can't just throw them around because rar rar fairness and still be right. Everything indicates that Labour will go for CG on housing market for now and that will help them to maintain their election promise of CG (fairness) and also please political allies to some extend. Also the fear that is spread by National Parties and his supporters to farmers and small businessmen will be addressed though many with vested interest will go all out supported by media (In all field people who have been minting tax free profit are bound to cry from top of the roof). Agree. One thing is for sure that if Labour led government goes ahead with any form of CG, however diluted the version may be, Housing market is going to be affected and will not be able to avoid CG unless labour totally abandon the idea of CG, which is highly unlikely. I'm opposed to it because it's a poor report, not worthy of the reform hype that was built around it and a giant waste of time. But life is easy when you can just dismiss any criticism at all as being from a vested interest, regardless of whether that's true or not. Well blow me down , this is what happens when you score an own goal . And so thecoalition sat down in cameradie and good heart, all with the single honest desire to create the horse. And behold, the birth of the camel was thus. Wonderful. Thanks. Will follow suit. I suspect most of the Coalition's private thoughts on CGT (excepting those nutty Marxist Greens) is now something along the lines of "kill it with fire"
...goodwill is not a “magic” number – as a business asset, it represents the economic net present value of the future earnings potential from the loyal customer base I have nurtured. Now, when those future earnings are derived, they will be on your tax return as part of your business turnover – and you will pay tax on those amounts. Given that I have already paid CGT on the goodwill amount, the direct result is economic double taxation. But hang on, Ardern said on morning report today that the statement that CGT can be a double tax "is actually totally misleading". So this statement from a 30 year accounting veteran cannot be right. As well as all the other accounting heavy hitters who have stated the same; incompetent haters and wreckers every one of them. It’s very good point. I’m a little ignorant on the whole CGT and honestly I was sort of in the “in favour” camp but after reading this I don’t agree with CGT. It’s a tax on a transfer of ownership. In the case of a business that sells goods, there is a cost of goods/assets that needs to be transferred but those goods/assets should derive tax at a later date unless the business goes bust. "When it comes to this idea of having impact on productivity, one of the problems we've had is that we have continued to have different treatment of income in our system which hasn't necessarily encouraged investment in the productive economy,"
A translation of this fatuous word soup waffle is that our leader believes the state expropriating capital from businesses that are sold and distributing it as welfare will see that capital more productively reinvested in expanding businesses than it would be if retained by the business owner; this socialist dogma deflection dutifully reproduced without challenge by her uncritical media supporters. ..I don't see it as any more damaging than taking tax out of the pockets of the present tax payers. Which is the point of this..same are paying tax on earnings, some are not. In regards to economic growth, I would suggest that it is the total tax on Business which is important. and that it is the mix of those taxes that really determine the material incentives and effects. Id suggest that NOT having a Capital Gains Tax has incentivized Farmers to borrow more to buy more land in order to keep their income tax lower.... The consequence of that has been a debt burden in the farming sector. What would happen if there was a Capital gains tax AND also a much lower income tax.... How would that influence farmers...?? I think the biggest impact on economic growth is the "total tax" , and it is the mix of those taxes that will result in economic incentives/disincentives..
You know whats not fair? Over 40% of the country pays nothing in tax.